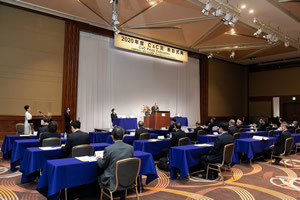 The Foundation presents the C&C Prizes to distinguished persons in recognition of outstanding contributions to research and development and/or pioneering work in the fields of semiconductors, computers, and/or telecommunications and in their integrated technologies (C&C). The C&C Prizes was established in 1985 and are awarded to no more than two groups annually. Each recipient is given a certificate, a plaque, and a cash award (10,000,000 yen for each group). The NEC C&C Foundation requests nominations for 2019 C&C Prize by Wednesday, May 30. Prof. Geoffrey E. Hinton (2016 recipient) was awarded the 2018 Turing Award. Dr. Makoto Nagao (1999 recipient) was awarded the 2018 Order of Culture, Japan’s highest cultural award. Dr. Akira Yoshino (2011 recipient) was awarded the 2018 Japan Prize. Dr. Adi Shamir (2009 recipient) was awarded the 2017 Japan Prize. Mr. Tim Berners-Lee (1996 recipient) was awarded the 2016 Turing Award. Dr. Takeo Kanade (2000 recipient) was awarded the 2016 Kyoto Prize for the category of Advanced Technology. Dr. Yasuharu Suematsu (1994 recipient) was awarded the 2014 Japan Prize and the 2015 Order of Culture, Japan’s highest cultural award. Dr. Isamu Akasaki (1998 recipient) and Dr. Shuji Nakamura (1998 recipient) were awarded the 2014 Nobel Prize in Physics. Dr. Shuji Nakamura (1998 recipient) was awarded the 2014 Order of Culture, Japan’s highest cultural award. Dr. Shun’ichi Iwasaki (1993 recipient) was awarded the 2010 Japan Prize and the 2013 Order of Culture, Japan’s highest cultural award. Dr. Robert H.Dennard (2006 recipient) was awarded the 2009 IEEE Medal of Honor and the 2013 Kyoto Prize for category of Advanced Technology. Dr. John L. Hennessy (2004 recipient) was awarded the 2012 IEEE Medal of Honor. Dr. Dennis M. Ritchie (1989 recipient) and Dr. Kenneth L. Thompson (1989 recipient) were awarded the 2011 Japan Prize. Dr. Andrew J. Viterbi (1992 recipient) was awarded the 2010 IEEE Medal of Honor. Dr. Isamu Akasaki (1998 recipient) was awarded the 2009 Kyoto Prize for the category of Advanced Technology and the 2011 Order of Culture, Japan’s highest cultural award. Dr. George E. Smith (1999 recipient) were awarded the 2009 Nobel Prize in Physics.